Daily protein shakes are ineffective for strength and muscle gains. Yes, you read that right. You’ll never hear those words from a supplement company, but research shows that taking protein every day (for example, with your breakfast) provides no strength gains and very little muscle gains (as shown in our previous article, Which Supplements are Effective for Muscle Gains). The reason for this is that the average bodybuilding diet already has sufficient protein, so an additional scoop of protein provides little benefit. 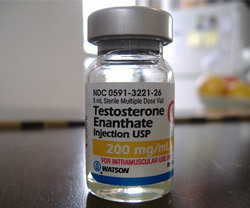 However, there is a more appropriate time to take protein that does result in significant strength and muscle gains. Taking 15-20g of whey protein before and after resistance training does result in significant strength and muscle gains. That is half a scoop before and half a scoop after training. 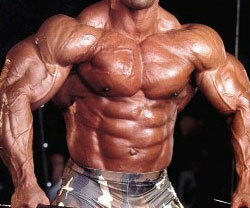 So if you train 4 times per week you’ll only be consuming 4 scoops per week to receive the benefits of the supplement. If you would have otherwise been taking 2 scoops per day, that would be 14 scoops per week, 10 ineffective scoops, and 4 effective scoops (assuming you had them before or after your workout). So by knowing when to take your protein, you can cut your monthly protein bill from $60 to $17 (a 71% saving for a guy who previously took 2 scoops per day). Taking a full scoop after exercising rather than half before and half after is a fair alternative with roughly the same benefits. The reason for this is that muscle protein synthesis is started by the resistance exercise, and shifted further upward by the protein ingestion. If you had ingested the protein in the morning, the muscle protein synthesis would get started by the resistance training but receive no boost from the protein. 20-40g was found to be the optimal protein powder dosage after before and exercise. So taking half a scoop before and after, or a full scoop reaches the high end of that range recommendation. Stop wasting your money taking protein powder in excess. 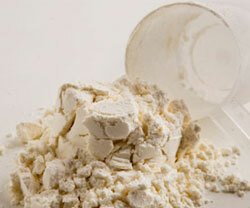 If you are already consuming regular meals with sufficient protein, don’t bother taking an extra scoop of whey protein. But do make sure to take a scoop when you finish exercising. No Responses to "When to Drink Protein Shakes"